serves as the foundation to enhance the effectiveness of Tier 2 and 3 interventions for students who have social, emotional and behavioral needs that go beyond Tier 1 alone. Tier 1 universal programming can be conceptualized like a good baking recipe, which involves the combination of specific ingredients to create a desired food item, like a chocolate chip cookie. Too often schools adopt and deliver a single or limited set of ingredients yet expect to achieve certain student outcomes (e.g., akin to using only flour to bake a chocolate chip cookie). However, single ingredient approaches are insufficient to provide the full range of experiences and supports students need to prevent problems from emerging, promote success enabling factors, and provide the foundation for more intensive intervention to work for the subset of students who need them. Instead schools must focus on using a recipe that combines important ingredients together to produce desired social, emotional, and academic outcomes. The following are critical evidence-informed ingredients that combine to create a robust recipe for promoting student social, emotional, and behavioral success as the foundation for academic and life success. Each of the ingredients informs educators’ decisions regarding what to select, implement, and measure. Universal social-emotional learning (SEL), for example, helps provide the knowledge and skills ingredient of the recipe through curriculum adoption, instructional delivery, and measurement of SEL competencies. Engagement in and responsiveness to SEL programming is likely enhanced when delivered in conjunction with an environment ingredient, such as positive behavior intervention and supports (PBIS) that helps establish a safe, structured, predictable, and positive environment. While PBIS practices could help facilitate student engagement in the process of acquiring social-emotional competencies (e.g., teach, model, cue, and reinforce expected behaviors), SEL competencies support students’ ability to exhibit PBIS expectations (e.g., emotion regulation helps students engage in respectful behaviors towards others). PBIS is about creating consistency among the adults in a school building through establishing, teaching, and modeling common behavioral expectations, as well as developing methods of progressively and compassionately responding to problem behavior. These practices are dedicated to creating more structured and predictable environments for students to learn. SEL, on the other hand, is largely a curriculum-led process that aims to cultivate specific knowledge and skills that enable students’ to regulate themselves, build and maintain healthy relationships with others, and make responsible decisions. Considering this, SEL and PBIS work together—not against one another—to provide a more comprehensive approach to supporting the social, emotional, and behavioral well-being and development of students. The ingredient that helps schools focus on providing a continuum of more intensive supports ensures that consideration of student needs does not end with Tier 1 supports. Rather, within an MTSS framework schools should ensure that Tier 1 is connected to a process that makes available more intensive, evidence-based interventions for students whose needs go above and beyond Tier 1. These Tier 2 or 3 interventions must take into account whether students’ have acquisition-based (that is, do not possess the knowledge or skills to meet the social and academic demands from the environment and thus need to be taught) or performance-based (that is, the environment is insufficiently encouraging, supporting, and motivating the student to use knowledge and skills they possess) needs. For example, a student may struggle to cope and manage anxiety which results in significant avoidance behaviors that impair their functioning. Although emotion regulation was covered as part of the Tier 1 SEL curriculum, the student continues to express a need for a more tailored support in the form of an anxiety-focused acquisition intervention, such as Coping Cat (https://www.copingcatparents.com/) or the FRIENDS program (https://www.friendsresilience.org/). Alternatively, some students will struggle to apply their SEL knowledge and skills due to environments that are insufficiently supportive and motivating. For these students, performance-based interventions like Check-in/Check-out provide additional support that encourage, support, and motivate students to apply their SEL knowledge and skills to exhibit expected behavior. Efforts to combine ingredients at the Tier 1 level pays dividends by decreasing the amount of students who express a need for more intensive intervention. This increases the capacity within schools to ensure that all students receive what they need. When Tier 1 is lacking important ingredients, too many students express a need for intervention, which exceeds the capacity within a given school to meet the needs of all students. As stated above, we must not forget about the data-based decision making aspect of MTSS. Data-based decision making occurs through the collection of data from a variety of measures that serve different decision-making purposes: (1) universal screening to proactively detect students in need of intervention, (2) progress monitoring to monitor and evaluate student response to intervention, (3) intervention fidelity to examine the degree to which the program, practice or intervention is delivered as planned, and (4) data on student perceptions of climate and benchmarks of social, emotional, and academic competency/proficiency as ways of evaluating school effectiveness. Gathering both fidelity data and student outcome data is critical to creating a continuous improvement process that aims to incrementally advance implementation and the attainment of equitable outcomes for all students. Without intervention fidelity, educators are limited in their ability to make data-based decisions regarding whether students have received the supports as planned. Moreover, failure to monitor fidelity results in the all too often flavor of the month problem that is characterized by the rapid adoption and abandonment of programs and practices that have not yet resulted in improved student outcomes because they were never fully implemented. 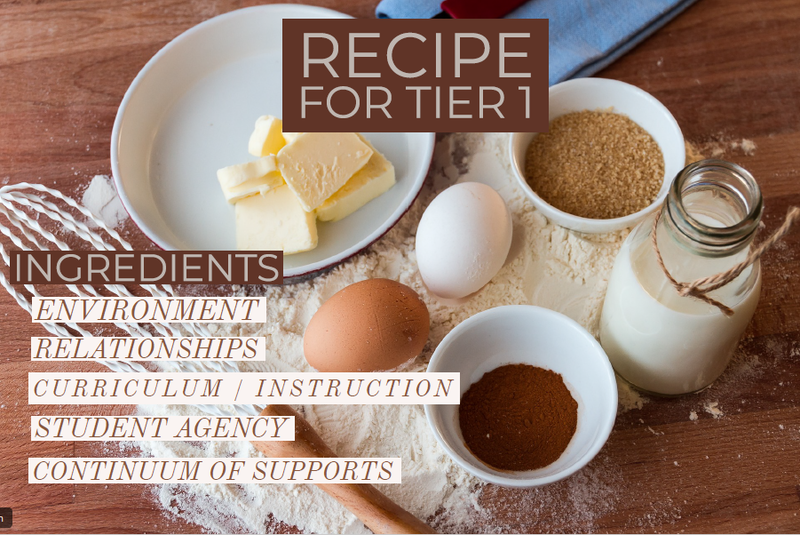 The MTSS framework offers tremendous promise if educators take a recipe approach that seeks to combine and integrate ingredients to create a more comprehensive and robust approach to meeting students’ needs. SEL is an important ingredient within this recipe and measurement ensures that educators are able to make timely, relevant, outcomes-driven decisions. 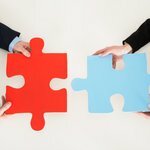 Rather than taking an “either this or that practice” approach, it is incumbent upon SEL advocates to consider how it combines and works together with other practices to provide foundational experiences that enable students to eventually become successful in work, civic, and private aspects of life. What do you believe is the evidence-informed recipe for providing a robust, comprehensive Tier 1 level of supports for ALL students? Disclaimer: The Assessment Work Group is committed to enabling a rich dialogue on key issues in the field and seeking out diverse perspectives. The views and opinions expressed in this blog are those of the authors and do not necessarily reflect the official policy or position of the Assessment Work Group, CASEL, or any of the organizations involved with the work group. MTSS, PBIS and the other aligned programs are necessary but not sufficient. The are each impactful but to truly anchor a whole child, while school approach, school will be well served to have a Mental Health Action plan that accesses needs and resources and integrates serves and programs and embeds the SEL skills throughout the school, with parent and community inclusion.